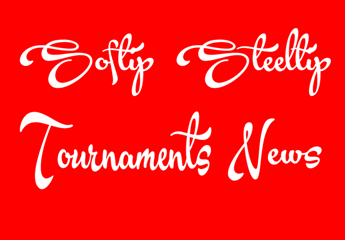 Update: Nayu Cafe & Dart 2nd Double Competition 2015. Results from Nayu Cafe & Dart 2nd Double Competition 2015, held from 14th – 15th November, Menggatal. It’s another win for the crack pair Penampang Darters (Frankie & Jerry). 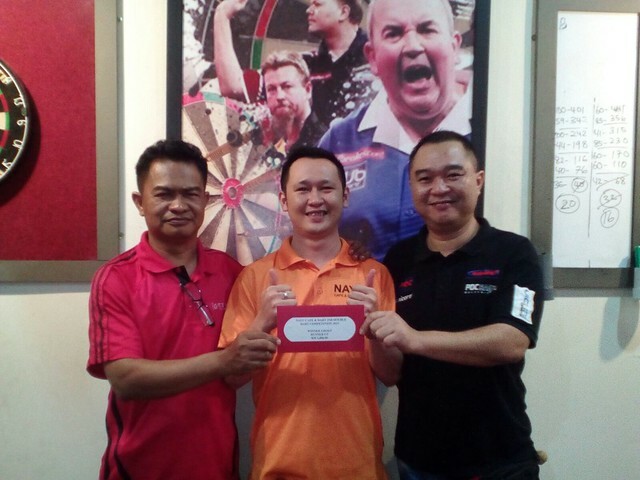 Nayu Cafe & Dart 2nd Double Competition 2015. Champion PPG DRTES Jerry & Frankie. 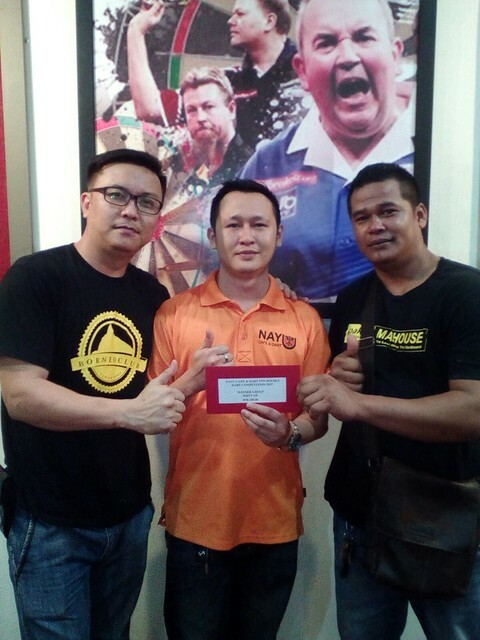 Nayu Cafe & Dart 2nd Double Competition 2015. 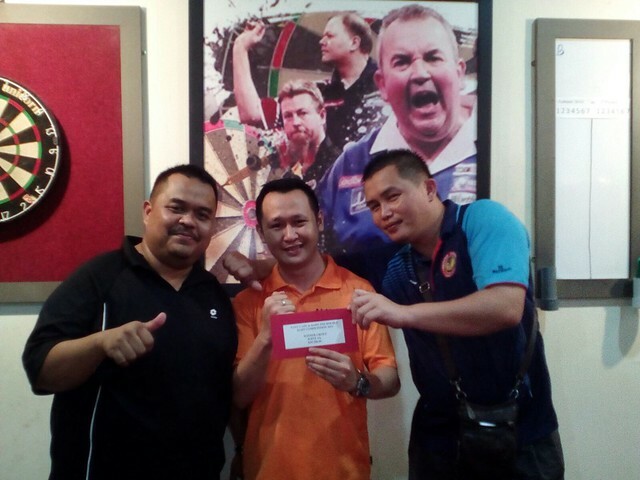 Runner-Up D’Mangga Ramli & John. 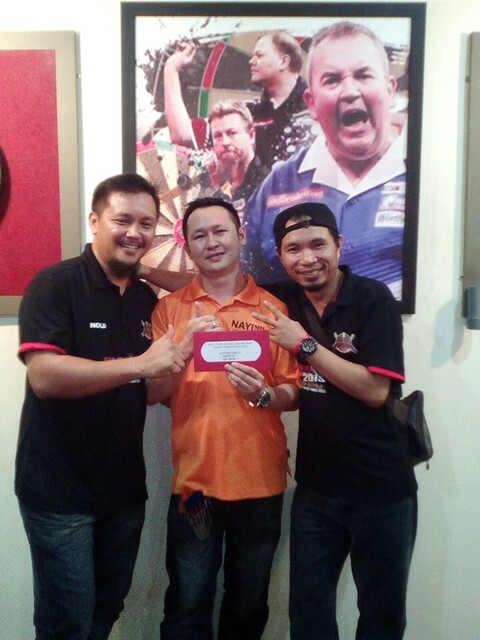 Nayu Cafe & Dart 2nd Double Competition 2015. Joint 3rd DDT. Nayu Cafe & Dart 2nd Double Competition 2015. Joint 3rd PDC Zoom. 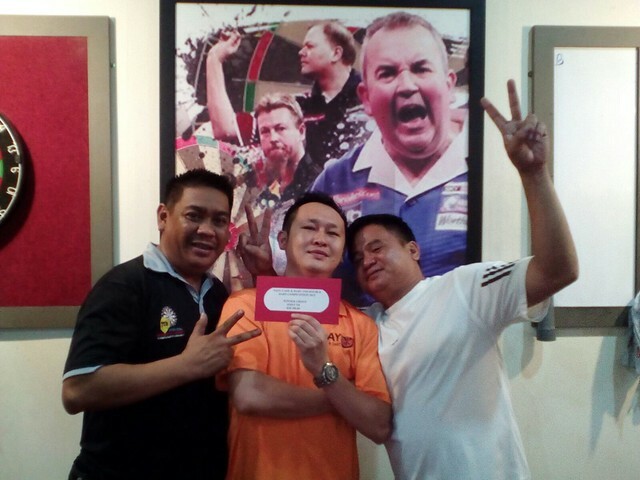 Nayu Cafe & Dart 2nd Double Competition 2015. Joint 5th CLP EK. 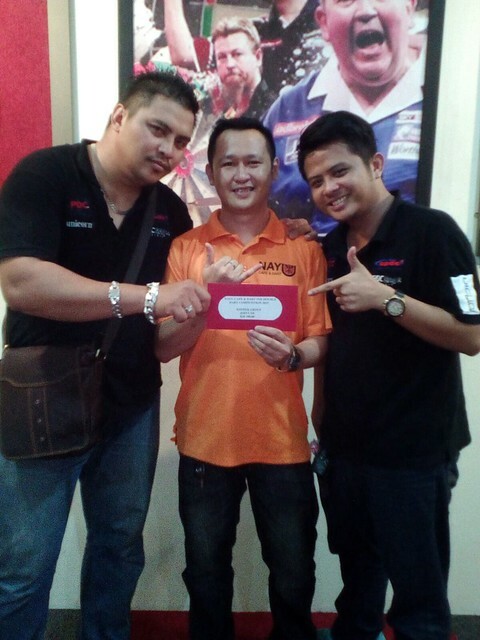 Nayu Cafe & Dart 2nd Double Competition 2015. Joint 5th All4One. Nayu Cafe & Dart 2nd Double Competition 2015. Joint 5th CLP DRTES. Nayu Cafe & Dart 2nd Double Competition 2015. 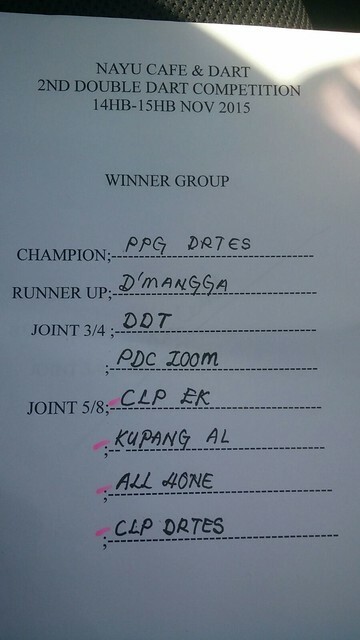 Joint 5th Kupang AL. 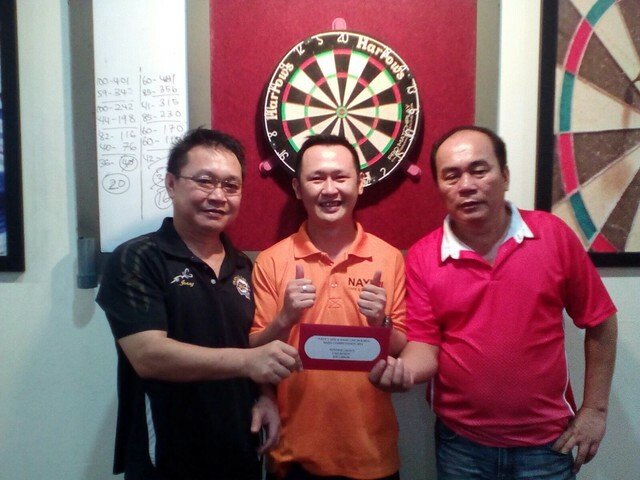 Nayu Cafe & Dart 2nd Double Competition 2015. 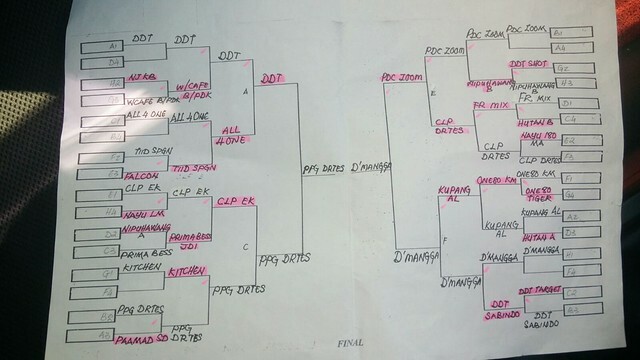 The knockout brackets. VANUE:NAYU CAFE & DART, KEMBIRIAN MENGGATAL.